EK-AF Extender G1/4 is suitable to extend port from block in order to fasten larger fittings that would normally be obstructed by hardware, or you simply wish to extend your G1/4 port. Made from nickel-plated CNC machined brass. Sealed with quality orings. 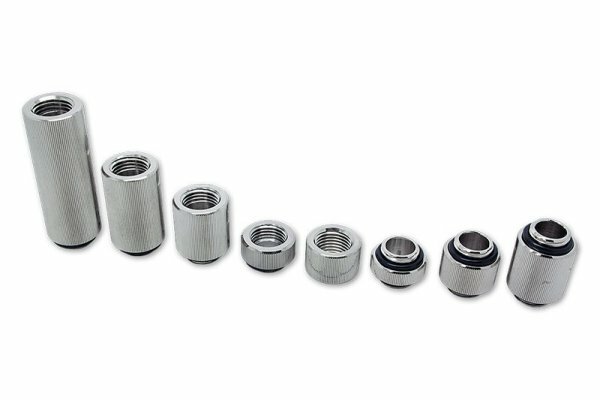 These Extenders can be either tightened by hand or by using Allen Key 9mm (not included, available for separate purchase). 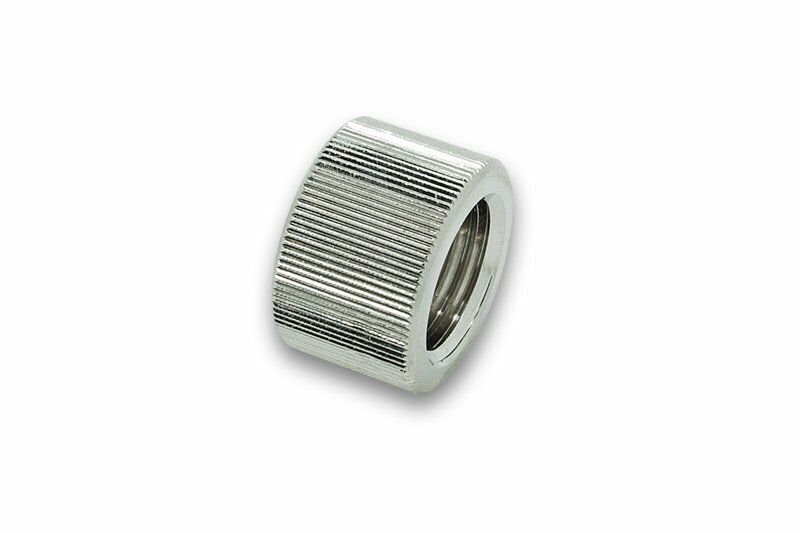 Technical data:, Threading: 2x G 1/4″ (Female-Female), Thread length: 4mm, Diameter: 18.8mm, Height: 12mm ROHS 2.0 compliant!